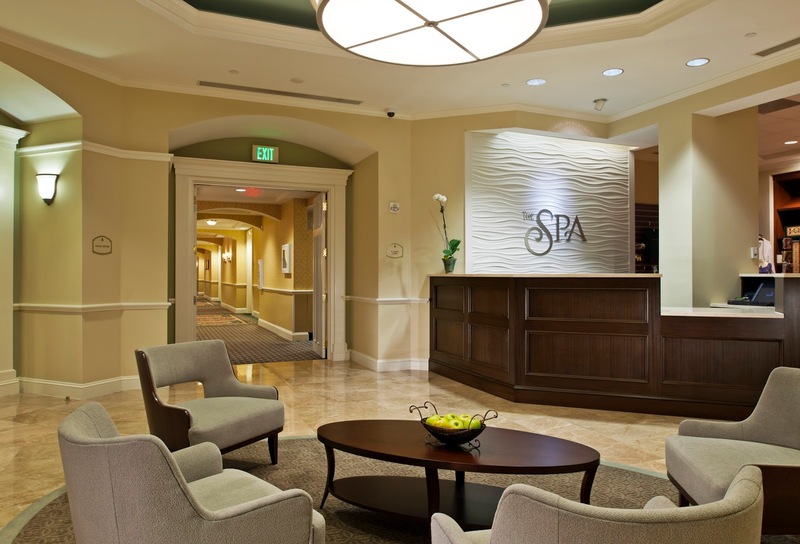 Hines-Sight Blog: The Spa at Ballantyne Reveals the One Thing You Should Do Weekly? 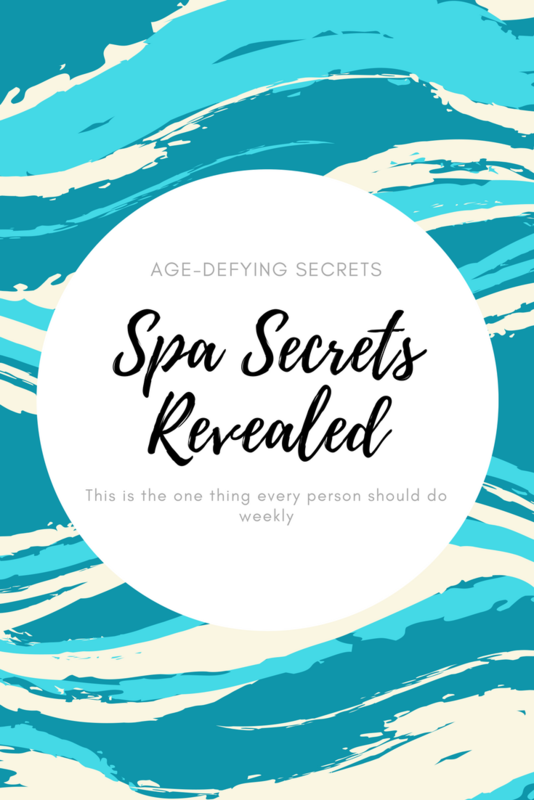 The Spa at Ballantyne Reveals the One Thing You Should Do Weekly? Charlotte, N.C has a jewel in the heart of the city. It's close to every major tourist attraction. Think Carowinds, the Discovery Place, the Whitewater Rafting Center, and the Panthers stadium, but yet when you check into this luxury resort, you escape the hustle and bustle of tourism. It's peaceful at this resort. There is a resort pool, a championship golf course, and a luxury spa. It has everything you could ask for and more. 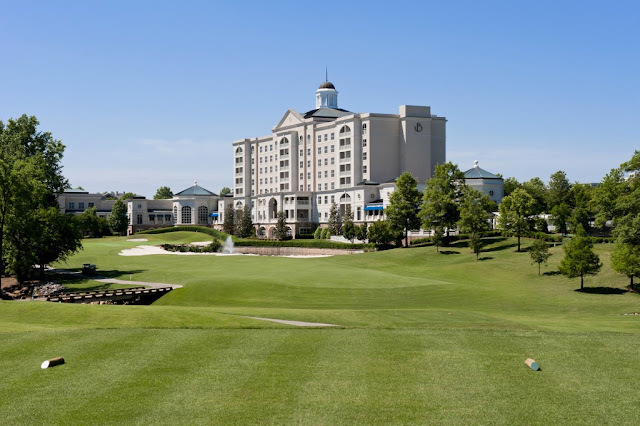 Starwood's Luxury Collection, The Ballantyne Hotel and Spa, is a destination in Charlotte all of its own and it's ok to come here and never leave the property if you want. That's a play from my own playbook. I did that this Spring with a girlfriend and guess what folks....we never left the grounds. Not once. And we loved every minute of it. 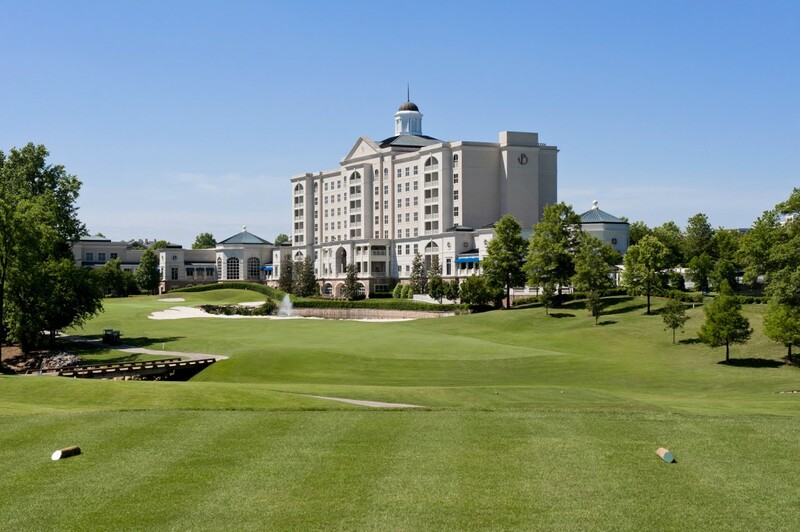 The Ballantyne is about a two and half hour drive from Raleigh. 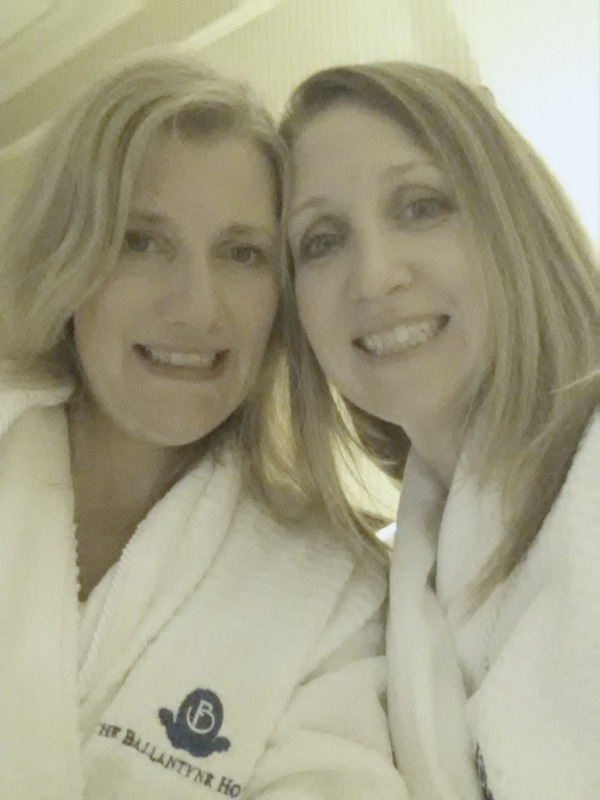 A relaxing spa weekend away from kids was the goal. My friend chose a facial. I chose a treatment from the Carolina Lavender Collection. This spa series is exclusive the to the Ballantyne, and the spa uses fresh grown lavender grown in York, S.C. In aromatherapy, Lavender has many healing effects on the body. When compounded down to essential oil, it's one of the most versatile oils sold on the market. Some call it the "Swiss Army Knife of the Essential Oil World." In this exclusive treatment series, I chose The Carolina Lavender Body Wrap where the body is exfoliated with a lavender body scrub, followed by a lavender shea butter body mask. While wrapped in warm linens, you enjoy an invigorating foot and scalp massage. You end your treatment with the softest skin ever, more relaxed and with a cup of lavender tea and lavender infused dark chocolate, all made and created by La Bastide des Lavandes. When I go to these spas, I do relax, but I am typically on assignment, too. That means I'm finding news that you can use in your daily lives. The number one spa tip I learned on this trip is the importance of body exfoliation. We all should be doing this weekly at home. Yes, that's right. I said weekly. Unless you are Bill Gates, and can afford a $135 treatment weekly at a spa like the Ballantyne, most people need to exfoliate at home with a sugar scrub. Pick a day and do it. You can buy a sugar scrub, but make sure it is all-natural. Many products on the market have artificial fragrances and other chemicals that will absorb right into your skin. The label may say natural, but that is not entirely true. The Beautycounter line that I endorse has a citrus and brown sugar scrub that is luxurious and moisturizing and has an EWG rating of a safe green. Do your homework. Look at the EWG database for product safety. For example, this popular spa product didn't score well based on its ingredients nor did this one by Tree Hut, both of these products are sold at big beauty stores. But again, don't be fooled on what you think is natural even brands like the popular Burt's Bees, well-known for being natural sometimes don't always score well because of a few ingredients, mainly artificial fragrances. It's the biggie no-no that gets most personal care products and because the U.S. personal care laws have not changed since 1938, beauty companies are protected by chemist trade secrets and they do not have to be revealed to the consumer. But, when you exfoliate, you need to do it correctly and according to the Ballantyne, this is key to the product working correctly. The product does not work as well when your skin is wet. It does not have the same impact as it does on the body dry. It's best to get in the shower, use the product all over your skin when it is dry and then scrub off. Also, do not use soap except on key parts of your body when needed. Let the oils penetrate and do their job. Follow up with a good lotion. 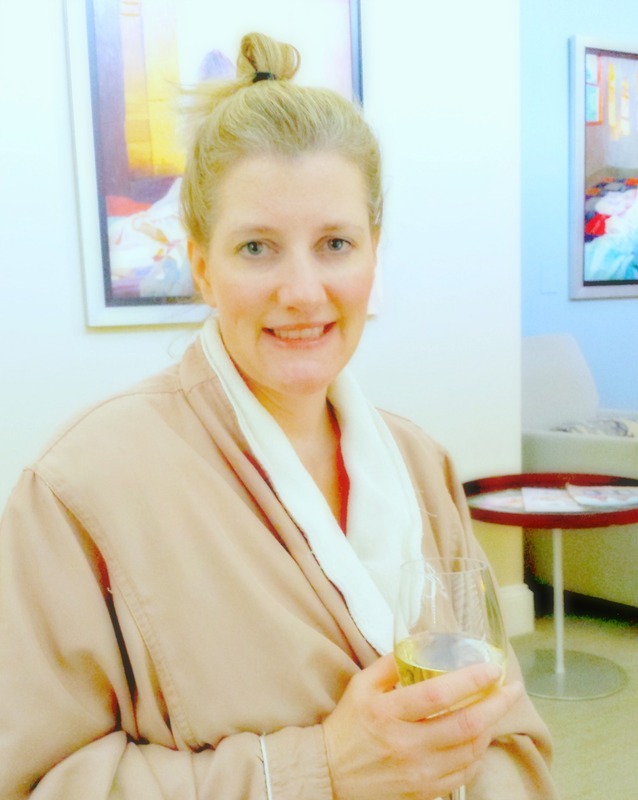 Best Hotel Bets for Pampering Yourself at the Ballantyne Spa in Charlotte, N.C. The Ballantyne offers several day spa and overnight packages for the spa. The Girl's Getaway Package is a great bet with a $200 spa credit per night, a cocktail flight for tasting in the Gallery Bar. The Ballantyne also offers a great spa lunch just for spa guests. And if you are traveling with your family, you can purchase Carowinds tickets at the hotel plus take advantage of the Summer Getaway package. (Sunday-Thursday stays). This includes a $50 resort credit and rates begin at $229. Disclosure: Affiliate links are in this post. Media rates not availble to the public were part of this visit.